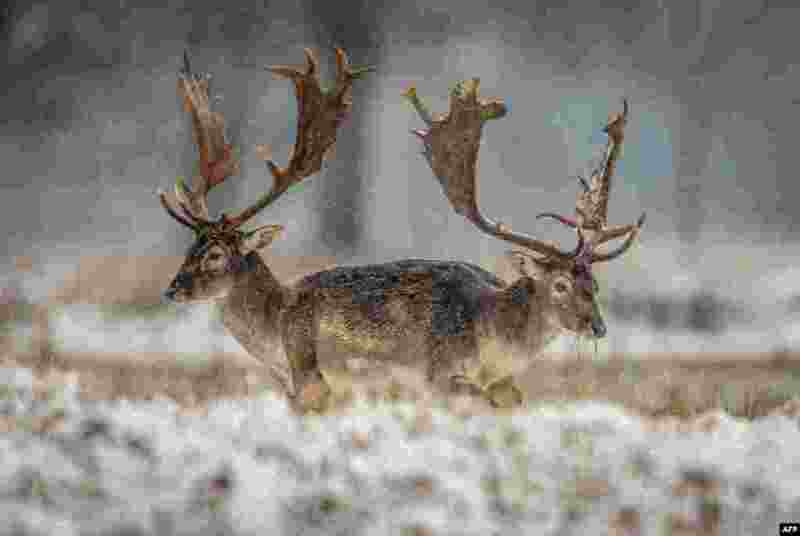 1 Fallow deer stand on a field as snow falls near Moerfelden-Walldorf, central Germany. 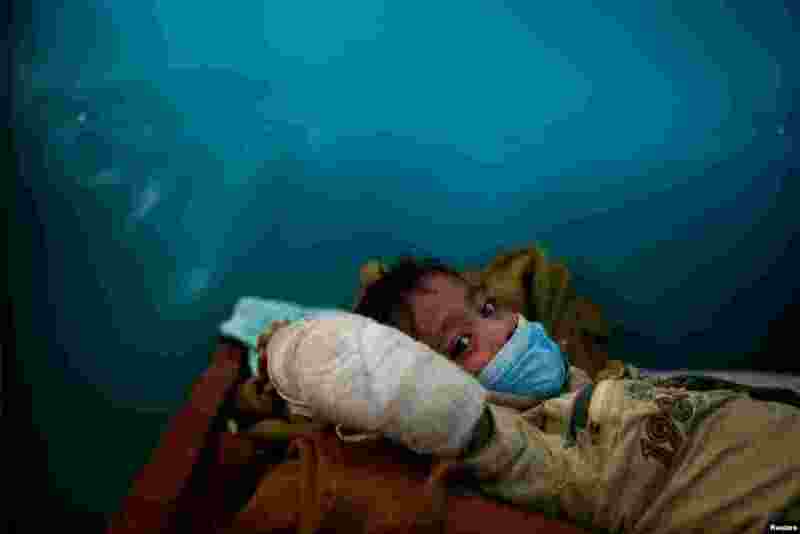 2 Rohingya refugee Yasin Arfat, 6, who suffers from diphtheria, lays on a bed at a Medecins Sans Frontieres (MSF) clinic near Cox's Bazar, Bangladesh. 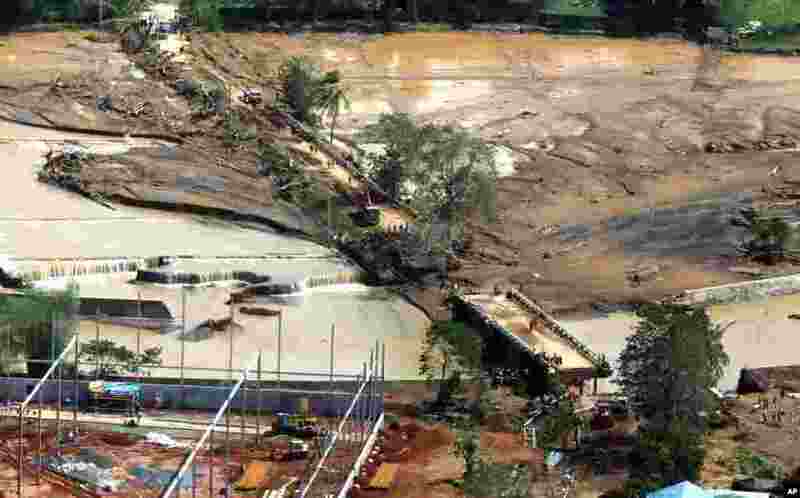 3 In this photo provided by Malacanang Presidential Photographers Division, residents try to make their way on the damaged Caraycaray Bridge after Tropical Storm Kai-Tak hit the island province of Biliran, central Philippines. 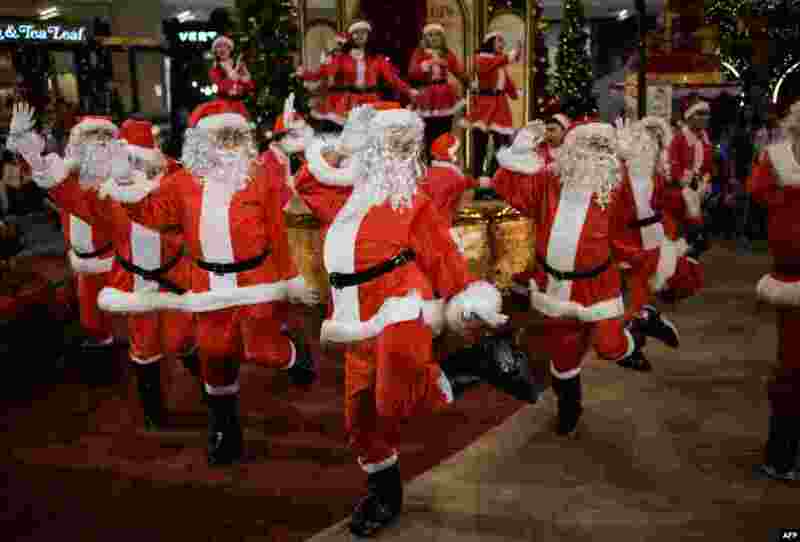 4 Performers clad in Santa Claus outfits dance at a shopping mall in Kuala Lumpur, Malaysia.